Welcome to another Becoming A Modern Man! In this article, I look at Five-Colour Humans and bring you a deck tech and gameplay. This is a fairly standard list with a few tweaks to the sideboard primarily based on my available cards. I decided to run with Militia Bugler in the main deck instead of Anafenza, the Foremost as I preferred it in the absence of playing against Dredge or Phoenix. One of the benefits of playing a deck a tribal-focused deck is harnessing the power of Champion of the Parish . 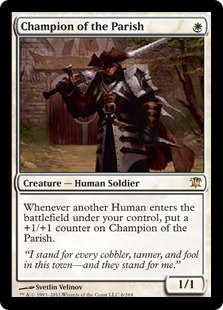 Champion gets bigger with each creature you play and can easily become your largest creature if played out early. Hierarch is a human that also is an accelerant and the exalted ability allows for bigger attacks. Exalted can be very relevant as a way of getting through additional damage with your evasive creatures or Thalia's first strike. Hierarch and Vial are too of the decks best accelerators and having one in your opening hand can be a big game. Thalia is a very powerful card in the current metagame. It is strong against Phoenix, preventing them casting multiple spells per turn, and Dredge, in slowing their Dredge enablers and favourably blocking Bloodghast . Humans decks used to run 3 copies of Thalia because she's legendary but in the current metagame I've seen decklists running the full 4 copies and I like it in the current metagame. Thalia is just very good against so many decks at the moment that you want to see her most games. 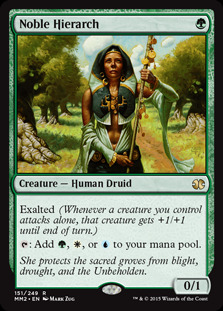 Thalia does a great job of disrupting the opponent and taxing their mana which can buy you the time to kill them. 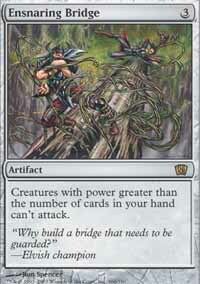 This is one of the most powerful cards in the deck and a strong reason to commit to the tribal theme of the deck. Thalia's Lieutenant isn't a traditional lord but in a lot of ways is substantially better. The Lieutenant grows all your existing onboard creatures and then grows itself in the same way that Champion of the Parish does. The pumps to the whole team can be devastating and can even be a combat trick with the help of AEther Vial . Meddling Mage is Chris Pikula's Invitational Card and is quite a skill-testing card. Mage allows you to name a card to prevent the opponent from casting it. Strong metagame knowledge is useful when playing Mage so you know what cards your opponent is likely to be playing and which ones are important to their gameplan. Naming removal spells and sweepers can help protect your team, naming combo pieces or other powerful cards for your opponent can help prevent them exacting their gameplan. Freebooter allows you to see your opponent's hand which means we sometimes get to be more targeted in the cards we name to leave hands stuck in our opponent's hand. 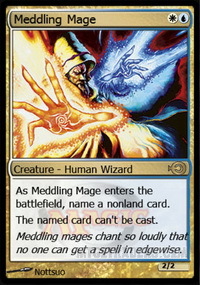 It's not easy to get it right with Meddling Mage all the time but it's a very powerful card that can leave your opponent locked out of answers. Freebooter isn't the most powerful of creatures is an evasive creature that also has a powerful disruptive ability. Stealing a key card from the opponent's hand can really disrupt them and seeing our opponent's hand means we can be more targeted in the use of our Meddling Mage s.
Image is a copy of any of our creatures and doubling up on the effects on our Humans is very powerful. Also, as Image comes into play as a Human most of the time it still pumps Champion of the Parish and Thalia's Lieutenant and gets the other benefits. 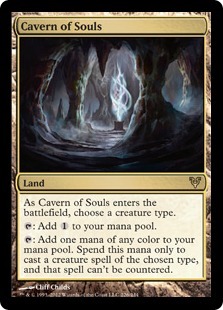 One thing to note is that we cannot generate coloured mana for Image from our Cavern of Souls or Unclaimed Territory if we have named Human with them so that can be awkward at times. 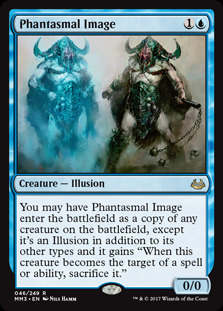 Usually it's still right to name Human with your lands but situationally you may want to name Illusion if you need to for the purpose of casting the Image. Reflector Mage is a powerful tempo play on a reasonably-sized Human. Bouncing a creature and preventing it from being cast the following turn can be just the swing you need to get a lethal attack in or buy you enough time to rebuild your board. 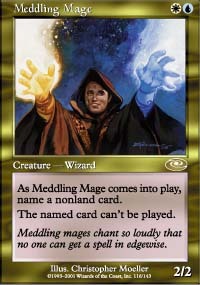 You can also follow it up with a Meddling Mage to permanently lock the card in the opponent's hand. One of the more aggressive creatures in the deck. Having a hasty evasive creature that can come down and hit an opponent out of nowhere is very valuable. A Turn 2 Mantis Rider off a Turn 1 Hierarch is an excellent start for the deck. It's also an easy way to steal the game out from your opponents nose with a hasty attacker that they hadn't accounted for. Bugler is one of the few ways of gaining card advantage in the deck. A solid body with Vigilance, so it's also an effective blocker, Bugler allows us to pick the best creature from our top five cards and put it into hand. Sometimes we are looking to grab Thalia's Lieutenant to create an alpha strike and sometimes we want a disruptive card and Bugler gives us some options there. Bugler is a flex spot in the deck which is currently being replaced by Anafenza the Foremost in the current metagame, which works nicely against Phoenix and Dredge. In my testing, I prefer Bugler in the matchups that aren't Phoenix and Dredge so I decided to stick with it. However, if you are expecting a heavy Phoenix and Dredge metagame I can understand playing Anafenza main deck. 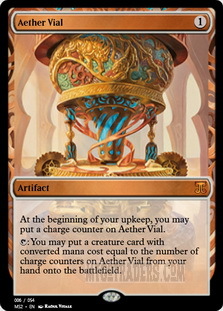 Vial is a powerful tool for the deck. 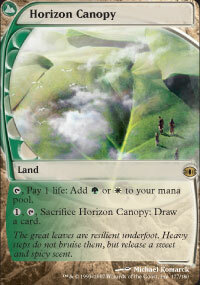 As our creatures are generally of lower cost Humans is a much better Vial deck than a Collected Company deck. Vial helps us drop additional threats to speed up our clock and at instant-speed to boot. 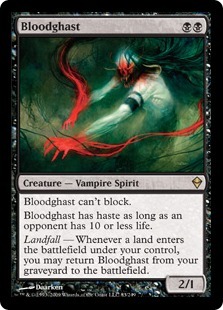 Vial can also compensate for our quirky manabase and gives us an out to Blood Moon or other non-basic hate that might make it difficult for us to cast our spells. On the opposing side, Vial isn't a late game pick up and we certainly want to get Vial into play Vial as early as possible to maximise its value. Five-Colour Humans has one of the most bizarre manabases in the whole of Modern. 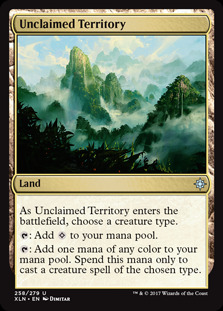 It uses some slightly obscure lands to fix its mana and ensure that it can cast creatures across all five colours. Humans doesn't have a lot of card advantage and relies on speed and disruption to win games. However, if the game does happen to go long then Canopy gives us the option to dig deeper for threats and action in the later game. 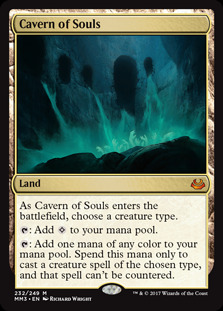 Cavern is a classic inclusion in tribal decks, as it allows you to fix your mana and make your creatures uncounterable. The mana fixing is very important for the Humans deck as it is running five colours in the main deck. 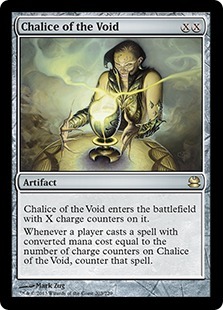 Being uncounterable doesn't just come up against Control decks, it's also a way to play cards through Chalice of the Void which is significant against decks running that card. These two cards have similar effects but do it in slightly different ways. Ziggurat cannot make colourless mana so you can't cast Dismember off of it but if you name Human with Unclaimed Territory , which is generally recommended, you cannot make coloured mana for the purpose of casting Phantasmal Image , Deputy of Detention or Knight of Autumn. You do need to be careful with these things and check you are tapping your lands correctly to avoid issues where you end up with a card stuck in hand when you could of cast it. Auriok Champion is an interesting card that really doesn't see play anywhere else in Modern. 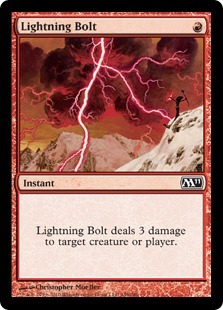 Protection from black and red makes it immune to Lightning Bolt , Fatal Push and a lot of the other premier removal in the format. It also acts as life gain whenever a creature enters the battlefield. It shines against Dredge, where it gains you life for their creatures entering and favourably blocks Bloodghast , Burn and plays a handy role against Death's Shadow decks where it can chump their big attackers. Anafenza, the Foremost is the hottest new tech for the deck. 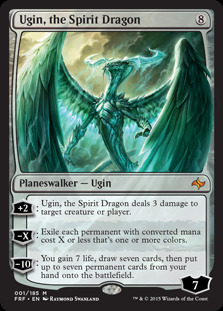 In a world of Phoenix and Dredge, exiling creatures from the graveyard, however, they end up there is pretty good. Dismember is the only removal spell in the whole deck. Sometimes you just need to answer a creature and Dismember is a very effective way of doing that. Dismember is useful against creature-based combo decks or decks that are likely to outsize you on the ground. Deputy of Detention is one of the new tools for Humans decks. It's not a Human which is not ideal but having a Detention Sphere on a creature is a really powerful ability. 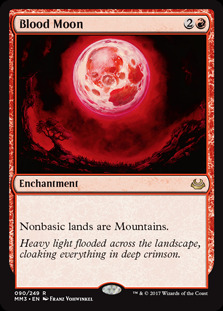 It's also a nice answer to a lot of potential problems, such as Ensnaring Bridge , Ghostly Prison , Blood Moon and planeswalkers. Snagging multiple permanents is also a huge game when the opportunity arises. Knight of Autumn is another non-Human that has made it into the sideboard. Knight is a fantastic utility creature with the ability to gain you life, destroy an artifact or enchantment or become a 4/3. Each mode is useful in different circumstances and it makes a much more versatile option than a Reclamation Sage or a similar option. Sin Collector provides additional hand disruption which is handy against Control and combo decks. 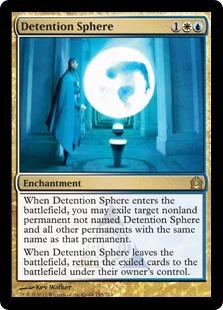 Damping Sphere is an acknowledgment of how tough the Tron matchup can be. It's a very challenging matchup for the deck as they have so many cards that are good against us. Our first matchup is against Grixis Death's Shadow . This matchup seems pretty favourable. 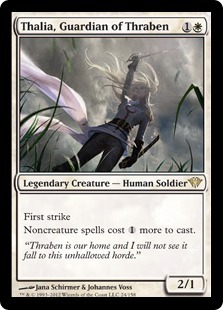 Our disruptive is pretty effective against them with cards like Thalia making it difficult to run on minimal lands as they like to. Reflector Mage is also a huge game as bouncing Delve creatures can leave them stuck in hand long term. We just need to watch out for the deck's namesake and devastating attacks. In the sideboard, we have Dismember to take out their bigger creatures, Auriok Champion which can favourably block their black creatures and is protected from their removal and Deputy of Detention is another potential way of getting rid of their creatures. Our second matchup is against Tron. As I mentioned in the video I ran into a lot of Tron testing this deck and it is a rough matchup. I was able to come out on the winning side on occasion but they have so many good cards against us. Wurmcoil Engine is very difficult to win past while Ugin, the Spirit Dragon and Oblivion Stone threaten to completely wipe our board. Damping Sphere and Knight of Autumn come in from the board to try and help disrupt them but a quick start from Tron is extremely difficult to beat. Our third matchup is against GW Death & Taxes. This is a deck that seems to have emerged primarily on the power of Thalia in the current metagame and Knight of the Autumn. This match was close. We have ways of overpowering them but some of our cards, like Kitesail Freebooter aren't pretty poor in this matchup. Our fourth matchup is against Storm. We are actually really well set up against it. 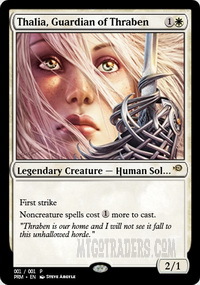 Thalia, Guardian of Thraben and Meddling Mage are great tools for cutting off their combo. Post-board we have access to Damping Sphere, Sin Collector and Dismember which can help further in getting us the win. That said there are ways that they can break through our traps and a good Storm player can find ways to go off through the barriers. That said I still think we are largely favoured in this matchup. Our fifth matchup is against Bogles. This seems like a poor matchup for the deck. We do have ways to disrupt them but it's very difficult for the deck to answer auras in the main deck. 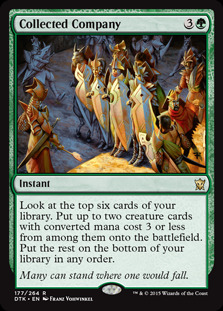 We get some support from Knight of Autumn and Deputy of Detention in the sideboard but it's still possible that they create a threat too big for us to deal with despite the disruption. Our final matchup is against Shadow Zoo (or Suicide Zoo but that name is unfortunate). Shadow Zoo has been around for a while but it seems to be rising in popularity for reasons I am not entirely clear on. I think the matchup is positive in the same ways that we have a good Grixis Death's Shadow matchup. Our large number of threats makes it hard for them to force through their attacks and our disruption, Thalia and Reflector Mage, are very effective ways of punishing their deck. We just need to watch for the speed of their deck and be sure not to get blown out by their combat tricks but the fact that they are damaging themselves helps us to close out the game. Post-board we get Auriok Champion and more ways to remove their creatures which all helps to push this matchup further in our favour. Humans may seem like a mindless Aggro deck at a glance but it's actually got a lot more play to it than that. The deck synergises nicely the aggressive aspects of the deck with the disruptive elements. This makes it more difficult to play against and answer than it otherwise might be. It has some nice tools to tackle the current metagame and it's a deck I came away liking a lot. Personally I have been having a lot of success with the deck which has been very positive. I think the deck is still very strong despite the rise of Phoenix and Dredge and it seems to be taking an increasing share of the metagame. Humans are back on the rise and it could well be worth your while getting on board. Particularly in the climate of discussion of bans to Faithless Looting and maybe even Ancient Stirrings , Humans is probably one of the safer investments for the future of Modern.